Create a call center that delivers an amazing customer experience every time. When is the last time you called a company and enjoyed the experience? With Ring.io’s technology you can delight your customers with personalized greetings, routing, and effective customer service tools. Minimize your callers time in queue with smart routing and reduce the average call length by giving your employees the information to solve customer issues quickly. 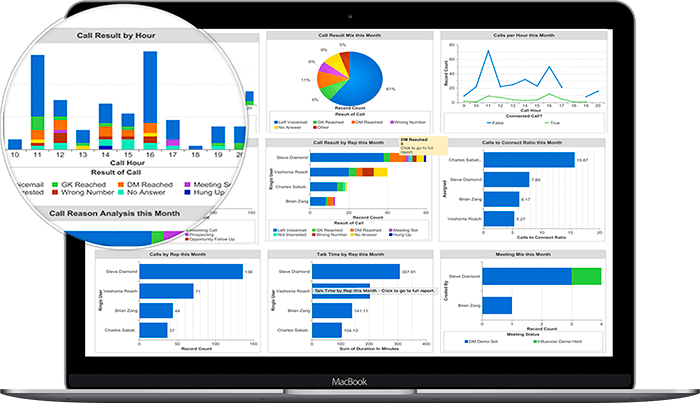 Every call is tracked and stored in the cloud for easy reporting and powerful analytics. Analyze your agent and queue performance and view historical reports to understand key trends. All the features you need to grow your business. Easily create intuitive call flows with our visual editor. Automatically log call data to the right object and field in Salesforce and Zoho CRM. Monior live calls and listen in on your team with one click. 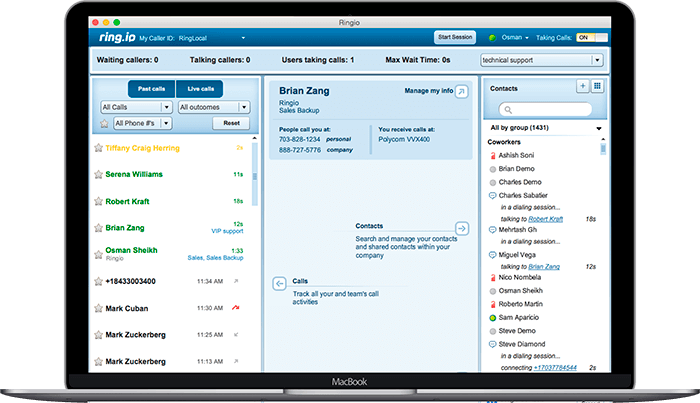 A complete calling productivity dashboard in Salesforce. 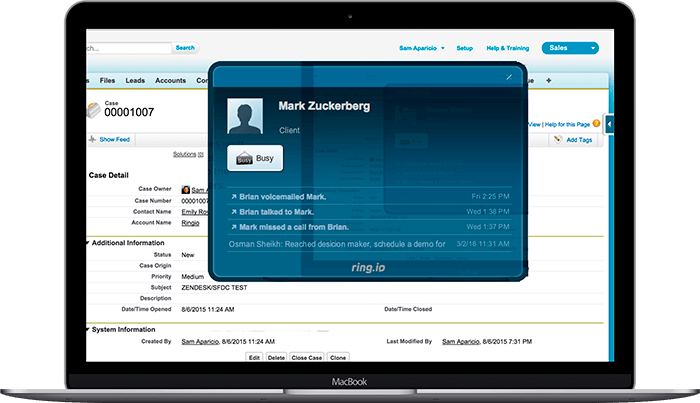 Get contextual information on inbound callers from your CRM.